Search for the homes for sale in Cedar Village Holmdel NJ. 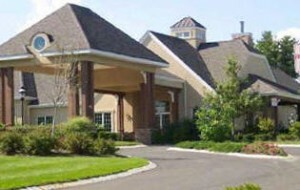 Cedar Village Holmdel is an Active Adult Community in Holmdel in Monmouth County NJ. The primary resident must be at least 55. But, Cedar Village Holmdel is not a gated community. You’ll love the location because it’s conveniently located on Route 35 near Laurel Ave. In addition, Cedar Village Holmdel offers easy access to major transportation roads. It’s close to the Jersey Coast line of New Jersey Transit, in addition to bus routes and ferry service to NYC. There are 5 different models of homes in this community and Cedar Village has a total of 158 homes. The homes have either two or three bedrooms and 2 car garages. Additionally, some of the homes have basements. Sizes range from +-1500 sq ft. to almost 2500 sq ft, and the homes were built in the early 2000s. 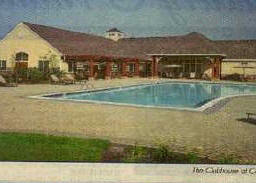 This community has a clubhouse, pool, tennis and bocce courts, in addition to a golf putting green and spa. In the 5,000-squ are-foot recreation center many clubs and activities available, and there is also an outdoor pool. Cedar Village Holmdel is within walking distance of a 235,000-square-foot retail center, which has a food store, many restaurants and more. And of course, you’ll be near The Jersey Shore! All Adult Communities in Monmouth County offer transportation services. There is a bus service from each community to local shopping centers such as malls and supermarkets. This is a scheduled service and there is no charge. There is also a medical transport bus which will take people to any medical facility or doctor’s office in Monmouth County. However, these trips must be scheduled a few days in advance. There is a minimal charge for this service. Call today to schedule a tour of available homes for sale in Cedar Village Holmdel.